Denver, CO — If you’re over 65 and notice that you’re trekking to doctor appointments more frequently than you used to or your medicine cabinet is growing increasingly crowded, you’re not alone. Most of us have accepted the reality that our bodies need more care and attention as we age, and so we dutifully do all the things we think we should to help maintain our health and independence for as long as possible: see our doctor regularly, take our medications as prescribed, try to eat a healthy diet and so on. The hope, of course, is that choosing a healthy lifestyle will let us do more of what we love and also avoid the fate so many of us dread: winding up in the hospital hampered with a serious health condition. But according to new research, steering clear of the hospital could have a lot to do not just with your lifestyle choices but also your Medicare choices. Turns out, if you opted to sign up for a Medicare Advantage plan last fall during the Annual Enrollment Period, your odds of being hospitalized or needing care in the emergency room are significantly lower than if you chose Original Medicare. Here’s how the study worked: Researchers with health care consulting firm Avalere Health set out to directly compare people enrolled in Medicare Advantage plans, which are offered by private health insurance companies, with those who enrolled in Original Medicare. Because more than half of people enrolled in Medicare have four or more chronic conditions, they were especially interested in understanding how people with chronic conditions fare under each type of Medicare coverage. So they assembled a group of people with at least one of three of the most common chronic conditions in older adults: high blood pressure, high cholesterol and diabetes. About half the group were enrolled in Medicare Advantage plans. The other half chose Original Medicare. 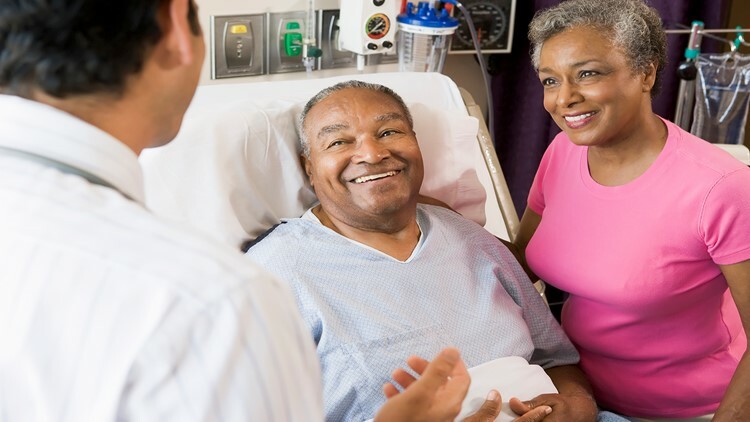 The study found that people with chronic conditions enrolled in Medicare Advantage plans had 23 percent fewer inpatient hospitalizations and 33 percent fewer emergency room visits. Not only were they less likely to wind up in the hospital, but they were also more likely to get the preventive care services they needed. Compared to the people in Original Medicare, Medicare Advantage members had higher rates of preventive screenings and tests, including 5 percent higher rates of LDL cholesterol testing and 13 percent higher rates of breast cancer screenings. The results were particularly promising for people with diabetes. As compared to the study participants with diabetes who chose Original Medicare, those enrolled in Medicare Advantage plans had a 52 percent lower rate of complications and a 73 percent lower rate of serious complications such as leg or foot amputation. What makes the study findings even more impressive is that people who are at higher risk of being in poor health are more likely to choose a Medicare Advantage plan. The study showed that Medicare Advantage plans had higher proportions of minorities, people of low income and people with disabilities as compared to Original Medicare. People who chose Medicare Advantage also had a 57 percent higher rate of serious mental illness and a 16 percent higher rate of substance abuse disorders. At this point you might be scratching your head, wondering how exactly Medicare Advantage has such an impact on health outcomes for people with chronic conditions. The Avalere Health researchers chalked the findings up, in part, to Medicare Advantage plans’ focus on preventive care, management of chronic conditions, and coordination of care for their plan members. Many Medicare Advantage plans offer extra benefits not available with Original Medicare that are designed to enhance people’s health and quality of life, such as disease management and wellness programs, gym memberships and in-home health care. In short, Medicare Advantage plans tend to put more emphasis on ensuring their members are receiving appropriate care and support when they’re healthy and their conditions are under control, which in turn appears to lower the risk of needing more intensive care in the hospital down the line. Intrigued? You’re in luck. Your opportunity to make a change to your Medicare coverage is right around the corner. Let this latest research serve as your motivation to check out all the options available in your area this fall during the Annual Enrollment Period, which begins on Oct. 15. The findings indicate that it would be well worth your time to consider whether a Medicare Advantage plan could be the right choice for your coverage, and your health, in 2019. Efrem Castillo, M.D., is the chief medical officer of UnitedHealthcare Medicare & Retirement. Serving more than 12.3 million people enrolled in Medicare, UnitedHealthcare is the largest business dedicated to the health and well-being needs of seniors and other beneficiaries. If you’re over 65 and notice that you’re trekking to doctor appointments more frequently than you used to or your medicine cabinet is growing increasingly crowded, you’re not alone.